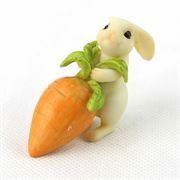 Fiddlehead is a market leading designer of miniature fairy garden products. 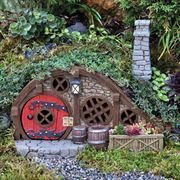 Fiddlehead has been producing fairy garden houses, figurines and accessories for over 10 years and their range is wonderfully detailed. Most fairy houses have opening doors, and all products are suitable for indoor or outdoor use. With over 200 products in the range, the challenge is which fairy house, figurine or accessory to choose to create your miniature world? 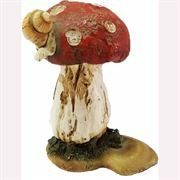 Wholesale Fairy Garden Products: We're proud to be the UK and European wholesale distributor of this market leading brand of miniature gardening products. If you're a retailer, and would like information on stocking the range, please use the button at the top right to register as a trade buyer and we will send you further information. Fairy gardens start with a fairy house. Here you'll find a lovely selection of whimsical fairy houses to suit all sorts of fairies, from converted Gourds and Pumpkins, to Burrows under the hill, and even a roaming Gypsy Caravan! 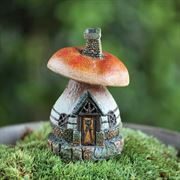 All our miniature fairy houses are designed to be used outdoors and are not affected by frost, although they will fade a little over time. Most have opening doors so you can add accessories inside if you wish, and all are finely detailed. We've several different sizes of fairy house available to suit all gardens, so browse the whole section before deciding! 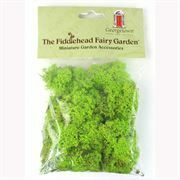 Wholesale Fairy Garden Products: we're the European distributor for Fiddlehead, one of the largest brands of miniature fairy gardens. If you're a retailer, and you'd like further information, please complete the application form at the top of the website- thank you. This is where the fun really begins- a huge range of accessories to personalise your fairy garden. From garden ornaments to tools, outdoor structures to materials for construction, we've something for all fairies to help create their world! If you're looking for advice, do call or email, we're happy to help. Micro-Mini fairy garden products are a further step into miniature- a reduced size range which is ideal for planters and small containers. If you're considering a fairy garden for indoor use, these are just what you need as they don't take up much room, leaving you more options for fairy garden design! Because Micro-Mini gardens lend themselves to indoor miniature gardens, they're perfect for those members of society who may not have easy access to outdoor gardens- those living in tower blocks, the elderly, and anyone with a communal space. However, if you're an experienced fairy garden maker and you're looking for a new challenge, this might be right up your street! 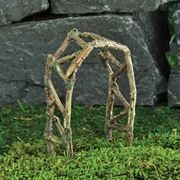 Micro-Minis are a great way to combine natural materials and plants with imaginative, whimsical products to create something very small yet perfectly formed. Fiddlehead offer four Teacup Planters to make tiny fairy gardens in. Each planter is around 12.5cm in diameter and 7cm tall, and all have a drain hole in the base so you can plant real plants in them. They're perfect for Alpines, Succulents or Tillandsia. Bring your Fairy Garden to life with our colourful natural moss and stone! Give nature a helping hand and add extra colour or texture to your miniature fairy garden with Reindeer moss in a wide range of colours, or weatherproof gravel which is perfect for fairy garden pathways and features. Fairy Gardens, or Miniature Gardens, are miniature worlds created using real plants and either natural or man made objects. Fairy gardens are of course themed around fairies and other mystical creatures, so often there are miniature houses, figurines and accessories used. Miniature gardens rely more on natural products, such as rock, bark, cork, etc, to create a landscape that resembles real life but much, much smaller! Fairy gardening is a perfect pastime for lots of people- it's not just for children! While of course it's great for encouraging the imagination of a young person, sometimes adults can do with having their imaginations encouraged too... Because many fairy and miniature gardens are in containers, they don't have to be outside, or require much maintenance. This means they're perfect for someone with limited mobility to enjoy indoors, or if you live in a flat with no access to a garden, you can bring nature inside. Miniature and fairy gardens tend to work best with plants that like shallow soil, or no soil at all. Alpines, Succulents and Tillandsia (air plants) are all commonly used, with small conifers being added for outdoor gardens. A full recommended plant list is available- please contact us if you'd like a copy. The Fiddlehead Fairy Garden range is designed in the USA and is intended to be used both outdoors and inside. Products are all frost proof, but they will fade a little in direct sunlight. Mostly this is fine, as the fading makes them look older and more lifelike, but you may find the brighter colours fade more, so we recommend these are placed in shady areas. The only other maintenance needed is a little oil occasionally on the door hinges to prevent them rusting. We've built fairy garden displays at Chelsea Flower Show, Hampton Court Flower Show, the GLEE garden trade show and many more. As the distributor for Fiddlehead Fairy Gardens we're experienced in all aspects of fairy and miniature gardening, so if you have any questions, please call or email. We've created miniature fairy gardens for many large shows and displays over the years. We're proud to have been part of a Silver medal winning garden at RHS Chelsea Flower Show in 2017 where we planted a shed roof with a full fairy garden using Fiddlehead products. We're regularly asked which plants are most suitable for fairy gardens, so we've put together a list. A quick note: plants from supermarkets are often not well cared for and have been forced (grown too fast). This means that they're not as healthy as plants from a nursery or plant specialist, so we recommend you purchase your plants from your local, independent specialist who will usually have grown them from seed. Hypericum olympicum uniflorum Citrinum – Glaucous leaves, with large pale lemon-yellow flowers,for weeks in summer. Flowers attractive to bees. Forms a nice mound. Sun or dappled shade 30cm. Picea glauca albertiana Conica - White Spruce. A neat cone-shaped dwarf evergreen conifer with bright green needle-like leaves. Very slow growing. This section contains any clearance fairy garden lines we have. From time to time we discontinue assorted fairy garden ranges to make way for new stock and offer them here at great discounts. Grab them while you can, as once they're gone, we won't restock them!